Christmas is coming! The most wonderful time of the year. Decorating the Christmas tree and hoping that your loved ones will put some amazing gifts underneath it. I have a few options for you if you don’t know so well what to give them this year. The Advent Calendars are popping everywhere around. It is a great way of getting introduced to a brand because it contains many travel size products and sometimes even fullsize. For today I have 3 advents calendars for you that are in my opinion a great gift for your best friends or family. They vary from skincare, makeup, hair and even nailpolish! I’m really excited to share them with you, but I won’t show you everything that’s inside. It still has to be a surprise! Yves Rocher is beauty brand that I know since I was a small child. Here in The Netherlands they had this catalogue where you could order their products and you received a lot of free gifts. My friends also remember this brand from her childhood and told me she secretly used her sisters credit card to make an order when she was young. We all have good memories about Yves Rocher! Now they’ve become a real modern and gorgeous brand that pays a lot of attention to their products and ingredients. 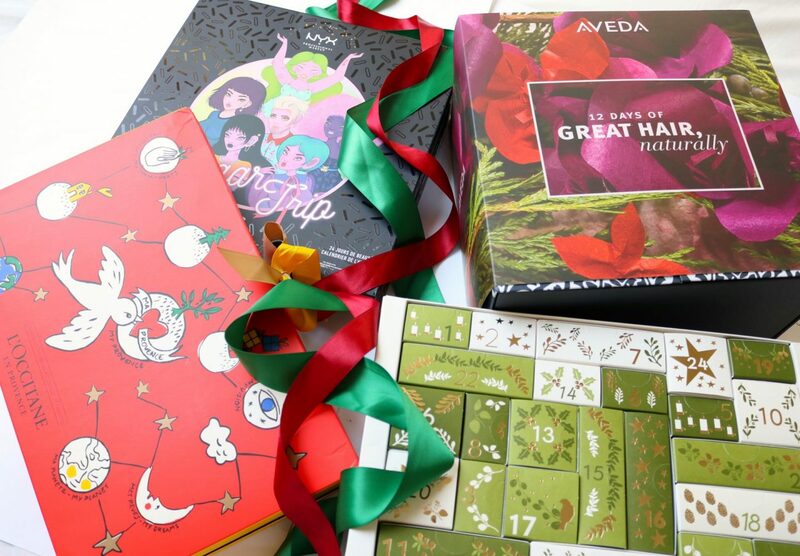 This Advent Calendar has 24 doors and offers a great range of everything from Yves Rocher: nail polishes, bath products, skincare and makeup. There has to be something inside this calendar you will definitely use! I think because of this versatile calendar it will fit with every person and no matter their age. The boxes are like puzzles, you can remove them out of the calendar and open them. The paper that is used for the calendar is 100% recycled paper, so you won’t harm the environment! €49,90 but €39,90 when you have their membership card. Currently sold out online, only in stores! When you think about France, I imagine L’Occitane. Their famous hand creams, body lotions and shower gels are must in every household. 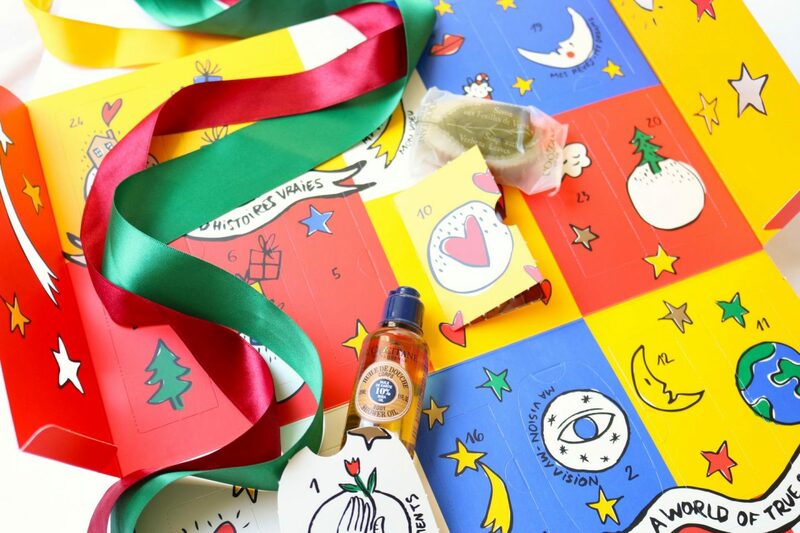 This year L’Occitane started to collaborate with the fashion house Castelbajac Paris to create this Classic Advent Calendar. Dare to dream, the magical universe filled with gifts and miracles. Make this Christmas special with a gift every morning. The special illustration shows you all kind of drawings that are about love, stars, dreams and the universe. 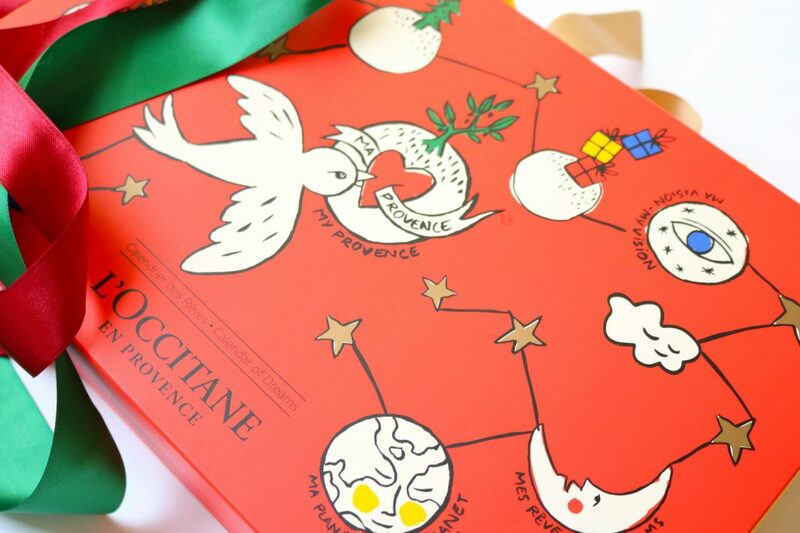 What I like the most about the L’Occitane Advent Calendar is that is super colorful! I think my grandpa will love this because he is an artist and really appreciates these kinds of drawings. It is different from your ordinary calendar because there are no actual doors, you have to look for them between the drawings. Also the inside of the calendar offers 24 different products that will keep you inside all winter! You will definitely find their most famous products like their hand creams, shower gels and oils. The Advent Calendar is €49,- but worth €83,50! Go on a sweet trip with the Sugar Trip 24 Days of Beauty Advent Calendar of NYX Cosmetics! Oh yeah, NYX is one of my favorite beauty brands because they are loud and colorful and always come with something new. 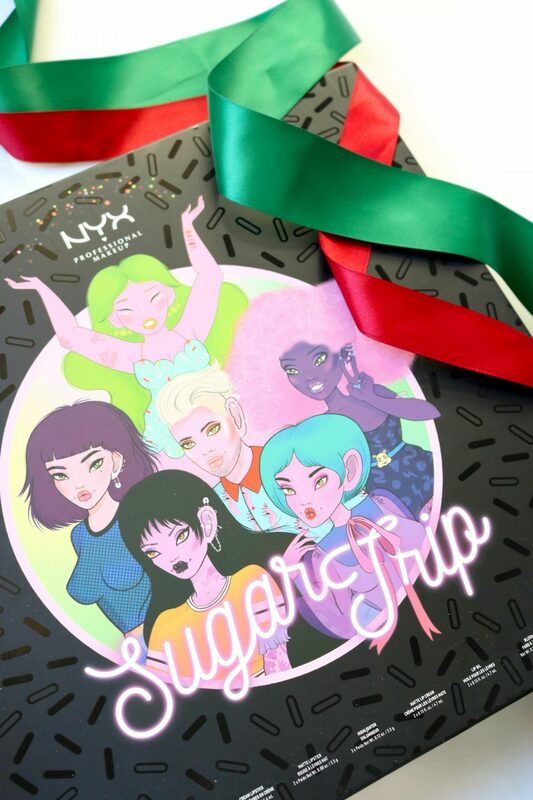 Unfortunately I missed their Sugar Party event this year because NYX has launched a whole new collection with products inspired by candy! They sell these cute makeup kits with loose glitters and even perfect gift sets for the holidays. I recommend you to take a look at their newest collection because you might will find the perfect gift for your friend over there for an affordable price. This year they have this super cute calendar that offers all kinds of products compared to last year (it was only lip products). Now they have 24 products that vary from matte lipsticks to highlighters! I love that the calendar has this cute print inside with matching packaging for the products inside. Only downside is that it took me so much time to pop those products out of the calendar, they seem to be stuck. But with some help of a pen I could get them out. Every makeup lover should receive this calendar for Christmas, don’t disappoint your bestie and add this to your cart! Aveda quickly became one of my favorite hair brands. This year I went to their salon to have some color touch up and learned more about their products. They use natural ingredients for their treatment and products so they won’t harm the environment and most importantly your hair! I was so blown away by the quality of my hair after the treatment that I will return later this week to their salon for a touch up. 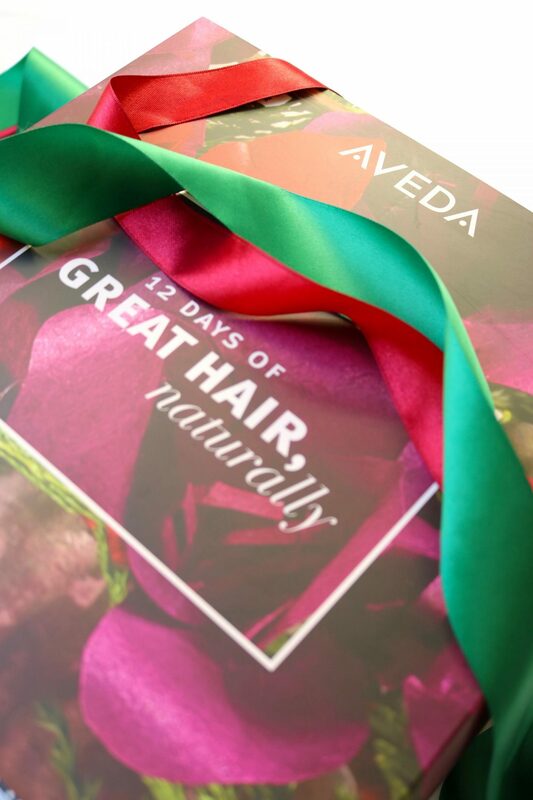 Now they have this gorgeous 12 Days of Naturally Great Hair Calendar to count down to beautiful healthy hair for Christmas. I think everyone likes to take care of their hair right? 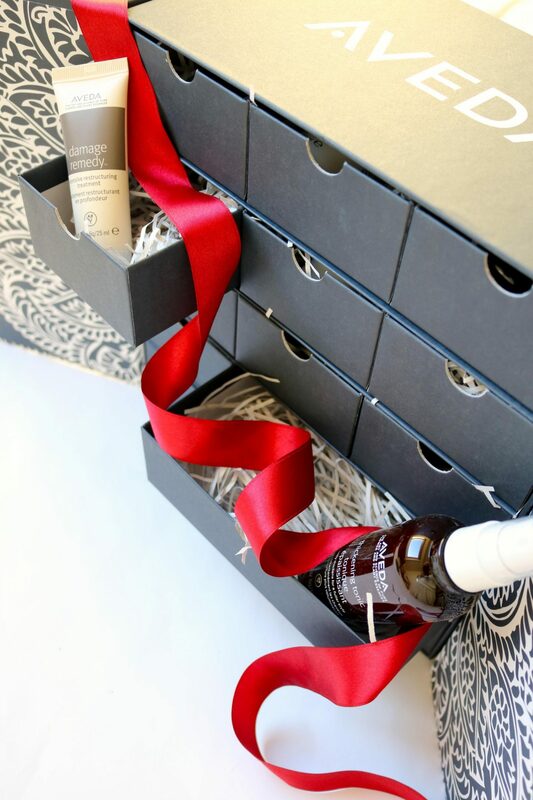 This calendar contains all products to help and rescue your hair before it will hit all the styling and hot tools during the holidays. It has 12 products with some of them in a travel deluxe size! There is everything inside for all kind of hair types. I think this calendar will fit great for people who have problematic or special hair (colored, dry, damages, curly hair) because this will save your december month. And how amazing is that I can give this calendar to one of you lucky readers! Giveaway opens now and will close on 5th December. Only available for Dutch residents. Winner will be randomly selected and announced the following day on my instastory. Participant has to succeed all the steps (or extra entry) to have a perfect entry. Oh het ziet er allemaal zo goed uit, en nu wil ik mee doen met de win-actie maar dan moet ik weer op je schandalig mooie instagram gaan kijken, haha door jou blijf ik mezelf wel pushen naar de perfecte product foto!